California Genealogical Society and Library blog: Featured on RootsTelevision! We're so honored and pleased that our YouTube video has been added to RootsTelevision and has been selected as one of this week's New Roots Tuesday picks. Pub/Mark Committee chair Cathy Paris created Who Do You Think We Are? from blog photos and added captions to describe all aspects of the society and our members. RootsTelevision thinks it's "a great example of how a society can showcase themselves online." We agree! And we thank Roots Television for helping us to spread our message. 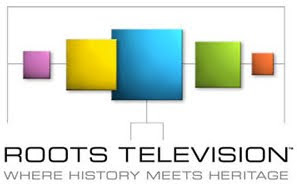 Roots Television offers free genealogy and family history videos. Topics include Conferences, How-to, DNA, African Roots, British research, Irish family history, Hispanic roots, Libraries, Archives, Reunions, Photo Restoration and more.